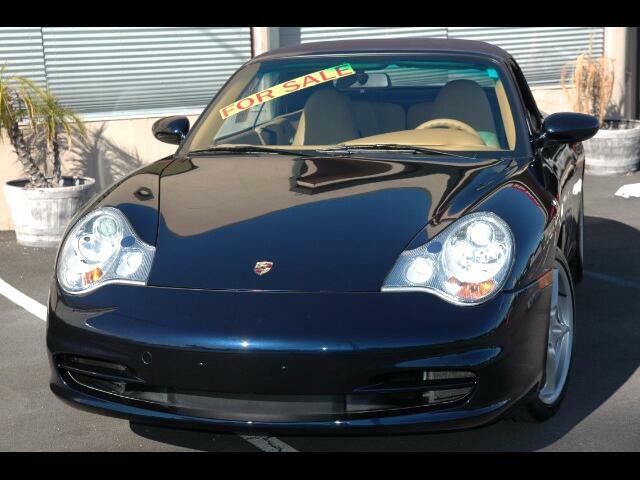 This two owner Bay Area Porsche Carrera with a midnight blue metallic exterior and a tan leather interior, has low miles and has been garage kept and extremely well cared for. The current owner adheard to regular maintenance and service. As preventative measures he opted to replace the IMS bearing with a LN engineering bearing as peace of mind. *18" Carrera 5 Spoke Wheels. *Wheel Caps w/ Colored Crest. *Stainless Steel Entry Door Guards. Pre-purchase inspection report upon request. Message: Thought you might be interested in this 2004 Porsche 911 Carrera.